Arkansas' Republican-controlled Legislature, including Democratic members, voted last week to kill the state's successful Medicaid expansion. But it was just a tactic to get around a minority of conservative GOP senators who had enough votes to end the expanded program. As planned, Republican Gov. 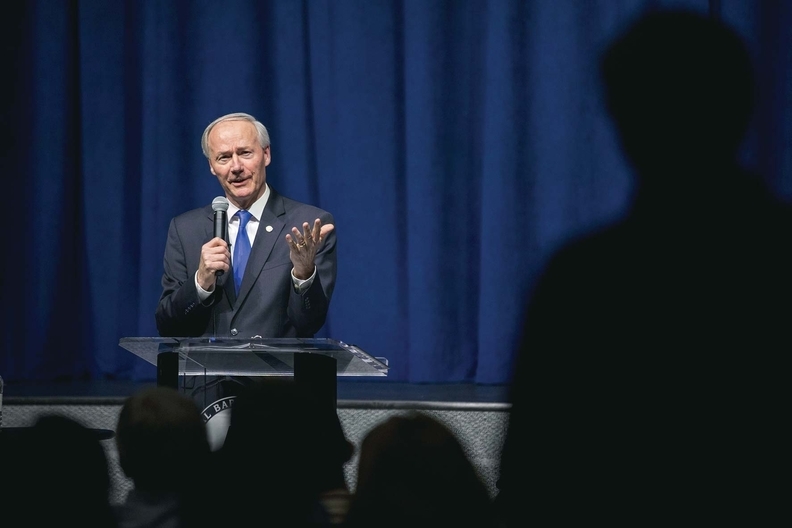 Asa Hutchinson issued a line-item veto stripping out language in the new budget bill that would have terminated the program at the end of this year. The maneuver is likely to face a legal challenge. A number of states have gone through tortuous political processes to expand Medicaid to low-income adults under the Affordable Care Act. But Arkansas, which originally implemented a customized expansion under a Democratic governor in 2014, arguably wins the prize for the most byzantine maneuvering. Hutchinson, who previously opposed Medicaid expansion, eventually accepted it after his 2014 election, although he wants to add personal responsibility features, such as premium payments, to the program. He needed a three-quarters vote in both legislative chambers to authorize his Arkansas Works plan, and warned that the loss of federal Medicaid expansion funds would leave a $100 million hole in the state budget that begins July 1. Hence the line-item veto strategy. The Arkansas Works waiver plan still needs CMS approval. In an April 5 letter to Hutchinson, HHS Secretary Sylvia Mathews Burwell offered tentative support.